The classroom is a very social place. In the age of standards focusing on understanding processes, much of our curriculum requires students to collaborate to determine answers to problems. One of the areas where students with autism and other social challenges struggle is when they are asked to work in small groups. They often will take one of two approaches. Some students always have to be the leader, ignoring the other students demonstrating leadership in the group. Some students just withdraw and choose not to participate in the group at all. 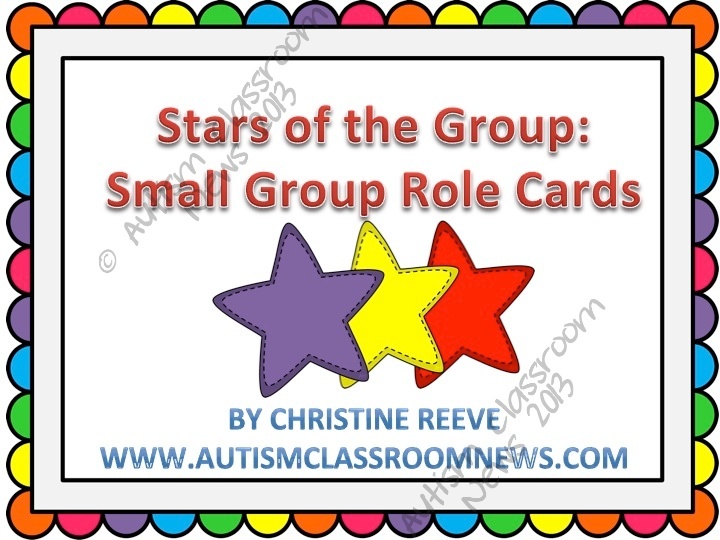 Many struggle with determining what their role should be in the group. While this is usually worked out tacitly by typical students, for students with social challenges, this set of the hidden curriculum or unstated expectation is not as easily understood. 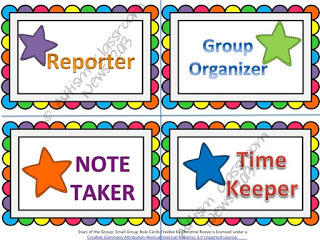 One strategy that I have used to help students participate successfully in small groups is to assign roles explicitly to the participants in the group. These cards provide a fun way of doing it. You can mix them up and have the students draw a card or you can assign the roles depending on what works best for your class. 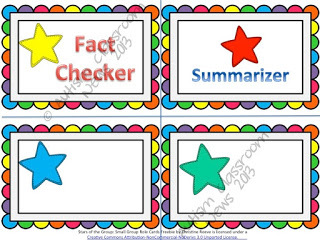 Cut them out and laminate them or leave them as paper and put them folded in a container for students to draw. I’ve left 2 blank cards so you can add roles that you need for your class that I haven’t thought of. 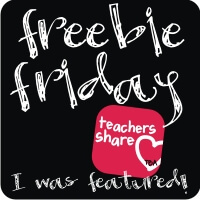 So click on the link under the picture below to get the freebie. And while you are there I would love to hear your feedback at the store and share your ideas for handling this issue in your classrooms in the comments below. I just found your blog through TBTS and thought I would stop by. Your blog has some wonderful tips for classroom teachers. I am a new follower. Thanks! I so glad you did! Welcome! Cute role cards. Thank you so much for sharing! P.S. I found you through Manic Monday. Thanks for letting me know and commenting! So cute! I love the frames. 🙂 Thanks for sharing. Thanks. The frames are thanks to Ashley Hughes at http://www.schoolsupplyaddict.com I Love her stuff! These are great — thanks for sharing! Hi, found you through manic monday! I love finding other sped bloggers! I work with Autism children too! Stop by and link up your blog under my "special education blogs" tab.